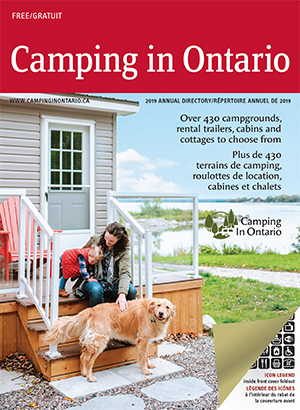 I will support and improve the operation of Camping In Ontario by maintaining my membership in good standing, by the dissemination of information on their behalf, and by my participation, whenever possible, in regional and general meetings and convention. I will share my resources and experience with fellow members, in a sincere effort to contribute to the benefit of camping at member private parks in the Province of Ontario. I will maintain a high standard of operation at my campground in terms of efficient management, security and safety of my patrons and cleanliness of my facilities and management properties. I will not misrepresent rates, services or facilities in any way. I will conduct my business in an ethical manner, and will be aware of all legislation, rules and/or restrictions which have been duly enacted, and which apply to my business and operation. I will take all possible action to assure that my campground and its operation is of benefit to my community, and earns the respect of all as a reputable and bona fide business. I understand that failure to abide by the spirit and intent of this Code of Ethics will subject me to investigation by the Board of Directors of Camping In Ontario / OPCA, or by a committee appointed by it, and may result in reprimand, suspension or expulsion from Camping In Ontario / OPCA. Have you been a member of Camping In Ontario / OPCA before? * How did you hear about Camping In Ontario / OPCA before? * Why do you want to become a member of Camping In Ontario? * How long has the campground been in operation? * How long have you owned the campground?